Platinum released Kawaguchi, the last of the 5 Fuji Lake series and it is the only one that I have purchased. Kawaguchi is basically a limited edition Platinum 3776 Century with a different design for it’s body. I got mine from Aesthetic Bay because I wanted to get a special nib on mine plus the ability to choose the number for this numbered limited edition pen. 2500 pens were made for this particular release and I picked 1012. My name in Chinese sounds like 10 when the numbers are read individually while 12 in Japanese sounds like my English name. Of course, 1012 is going to be mine. Plus, Kawaguchi is the only of the 5 lakes that I’ve actually visited. I’ve already reviewed the Platinum 3776 Century previously so I won’t be repeating myself since most of the facts are still the same. 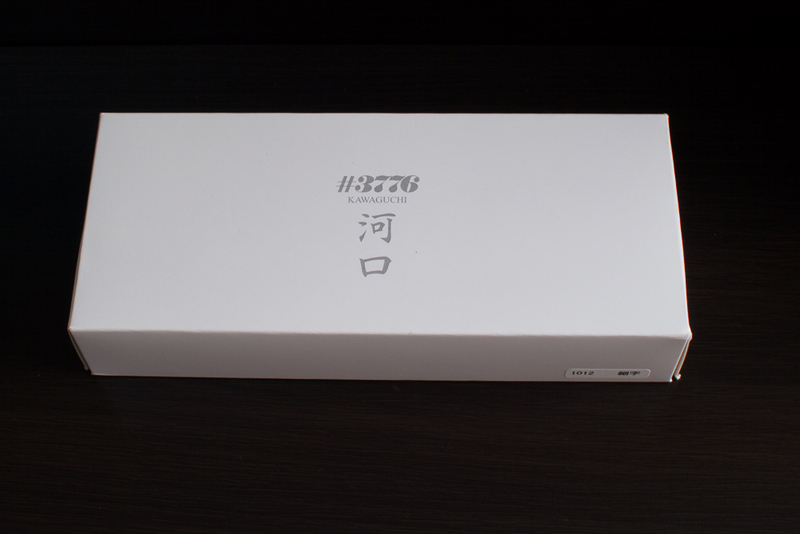 The Kawaguchi comes in a white box with all the regular user manual, cartridge and converter. There is nothing particularly special about the packaging other than having the name of the pen printed on the inside of the box. Kawaguchi is made of a blue resin with lines etched across the body in a wave like pattern. 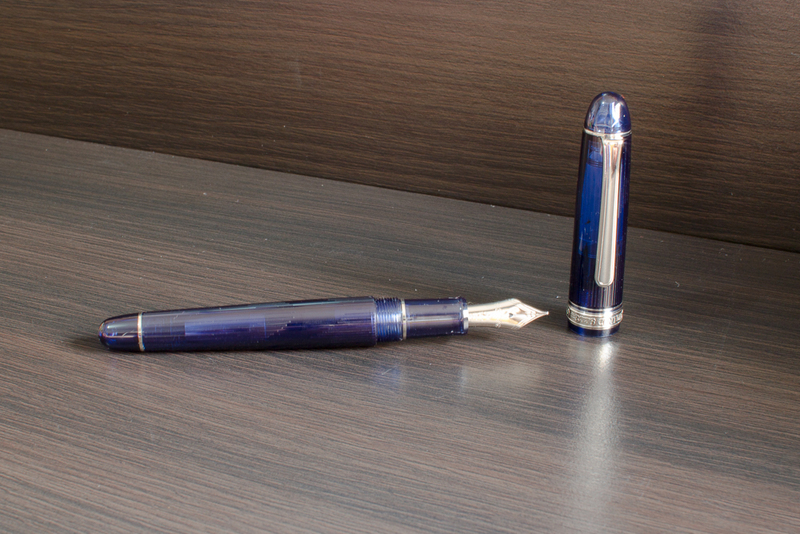 The blue resin isn’t exactly the same shade as the regular Chartres Blue’s. Also instead of gold accents, Kawaguchi has silver accents. One plus point, Platinum has thrown in a matching silver converter with this pen. I feel the lines help to enhance the feel of the pen when compared to the standard Platinum 3776 Century. I can tell it is a slightly more premium product. Like all other 3776 Century, the Kawaguchi also has the slip and seal technology. However this is also a cartridge converter fountain pen, the ink capacity isn’t fantastic. It is unlikely to leave your ink in there for 2 years unless you forgot all about it. Personally I never had the opportunity to really try it out. On the other hand, the nib is the star of the pen. The nib is a 14k soft medium gold nib. 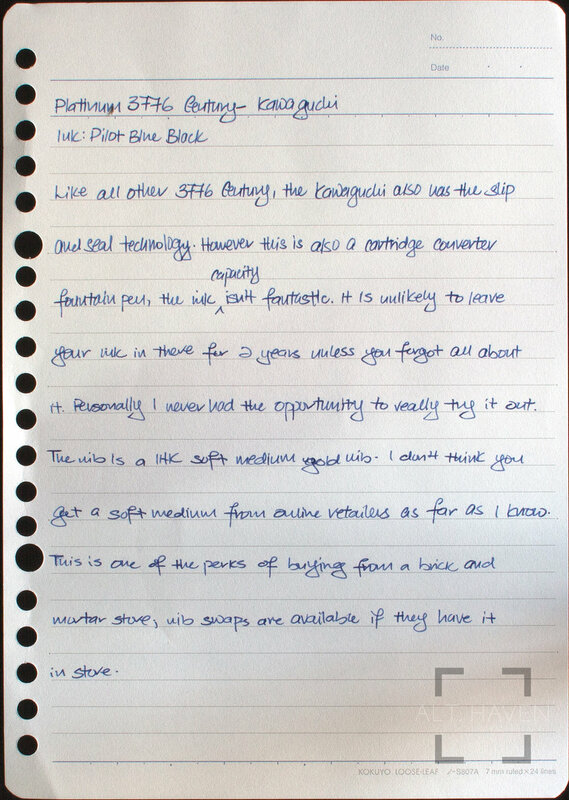 I don’t think you can get a soft medium nib from online retailers as far as I know. This is one of the perks of buying from a brick and mortar store, nib swaps are available if they have the nib in store. Since I have to have the 1012, I picked the soft medium that was available. I was hoping to get a FM nib instead but sadly that wasn’t available. The SM nib is writes bouncier than the standard medium nib but not much wetter. 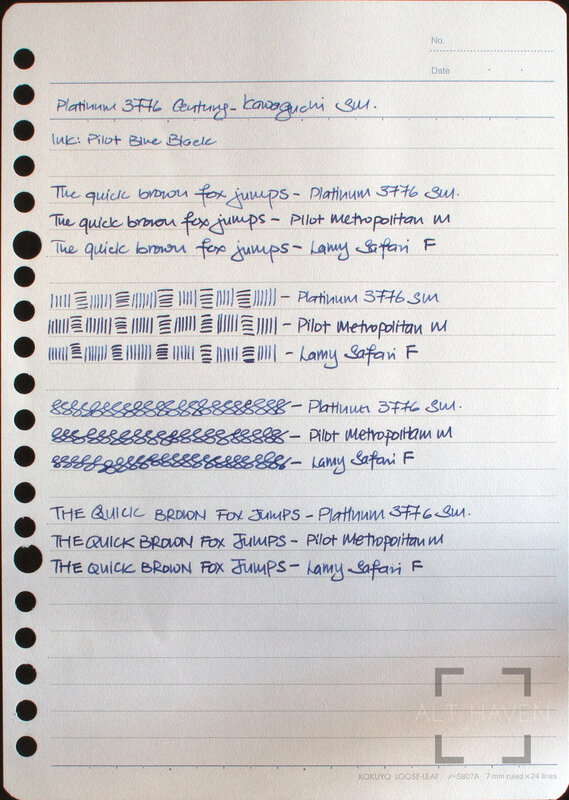 I would say Platinum gold nibs tend not to be soft when compared to Pilot’s. Even their SM nib is not particularly soft, just springier when compared among their own nibs. 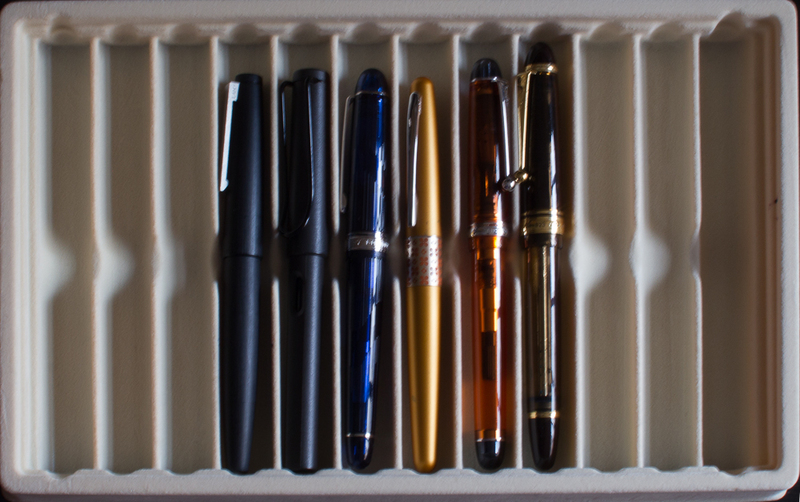 It is also said that Platinum nibs are Nakaya nibs. That might be true but when comparing this nib to my Nakaya SM nib, I found that the Nakaya’s nib is just slightly bouncier. It might be down to the rhodium plating that’s on the Kawaguchi’s nib since my Nakaya nib is the regular gold one. The nib has the characteristic Platinum feedback that I love. I really like this nib. 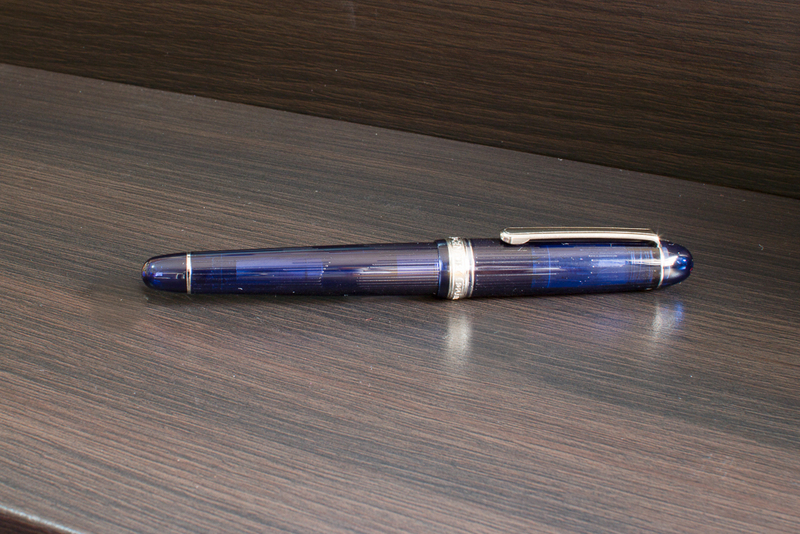 The Platinum 3776 Century - Kawaguchi is a special pen to me personally. As a regular pen, I don’t think there is anything to warrant the difference in price between the regular edition and this limited edition. 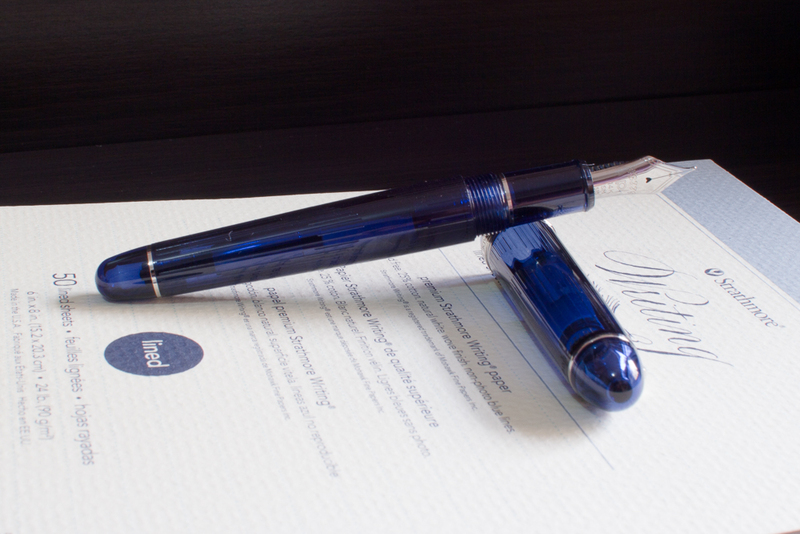 If the pen design doesn’t speak to you, you are better of going with a standard 3776 Century.